Britain's Vodafone PLC, one of the world's largest cellphone companies, said Thursday that it was talking to Verizon Communications about selling its stake in Verizon Wireless, the No. 1 mobile carrier in the U.S. The U.K. company is mulling options for its 45 percent stake in Verizon Wireless. Verizon Communications Inc. owns the other 55 percent. The partnership started in 2000, when what was then Bell Atlantic combined its East Coast wireless network with Vodafone's operations on the West Coast. Vodafone had entered the U.S. market a year earlier by outbidding Bell Atlantic to buy AirTouch Communications Inc. of San Francisco. Analysts say Verizon wants to pay around $100 billion for Vodafone's stake, although reports suggest Vodafone is pressing for as much as $130 billion. At the higher price, it would be the second-highest acquisition deal on record, according to research firm Dealogic. Verizon Communications' stock rose $1.26, or 3 percent, to close at $47.82 on Thursday. It had jumped $3.55, or 7.6 percent, to $50.11 in premarket trading about an hour before the stock market opened. 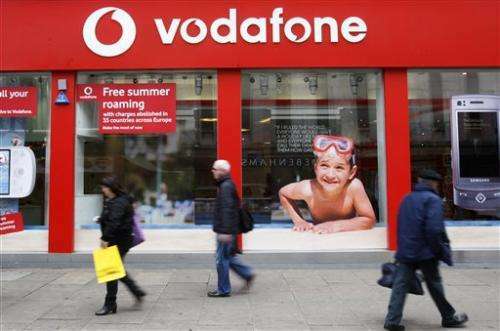 Meanwhile, Vodafone's London-listed share price rose 8.8 percent to 2.06 pounds. It has long been speculated that Vodafone, which is expanding in Europe, is interested in a U.S. exit. Verizon Communications has a long-standing interest in buying out its partner, but so far, the two companies haven't agreed on a price. Published reports say earlier talks on a sale broke down over price and tax concerns—and Vodafone stressed that there was no certainty a deal could be reached. But competition among cellphone providers and other companies moving into the cellphone market is pushing both companies toward a deal, said Ronald Klingebiel, a telecommunications specialist with Warwick Business School. A sale isn't expected to have much of an effect on consumers or on Verizon Wireless' operations. Vodafone had little influence on Verizon Wireless' day-to-day operations, which made its stake more of an investment than a base from which to expand into the U.S. market. What would change is how the parent company and Vodafone record profits from the wireless business in their financial reports. Verizon Communications, which is based in New York, would get to record all of the wireless profits, while Vodafone would get a cash payout. "This deal is simply a change in ownership of a shared asset," Craig Moffett, an analyst at Moffett Research, wrote in a note to investors. "There are no operating synergies to be had. It's a zero sum transaction." He said full ownership of Verizon Wireless could free the company to pursue expansion abroad, as any such deal currently needs the approval of Vodafone. But he said Verizon hasn't indicated any interest in such an expansion, apart from possibly moving into Canada. Moffett also said a buyout of Vodafone would carry risks for the U.S. company. He said the U.S. wireless market is among the strongest in terms of revenue growth and profit margins, and there's no good reason it should be that way. Therefore, he said, there's a good chance of a downturn, meaning any price paid now would be too much. 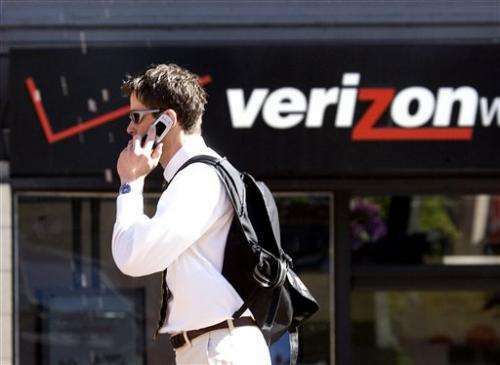 Verizon is also facing growing competition in a saturated market. No. 4 T-Mobile US Inc., for instance, is making a resurgence after shattering industry conventions, including two-year service contracts. But almost all of Verizon's gains on the wireless side resulted from customers upgrading to higher-priced plans or adding more devices to their existing plans, as opposed to an influx of new customers. Increased competition in the U.S. could pressure Vodafone to cash out now and accept a lower offer from Verizon. Any proceeds from a Verizon Wireless sale would give Vodafone additional cash to buy other companies or pay down its debt. The talks come as Vodafone pushes ahead with a takeover bid for Germany's biggest cable operator, Kabel Deutschland, as part of its strategy to dominate media services in Europe, its biggest market.